It is quite a responsible thing - choosing a baby walker, so it doesn’t harm the child's health. When considering different options, pay attention to the base, wheels, seat, and other attachments. And it is very important to know the width of the doorways in the apartment, to choose the right size of the baby walker. First of all, pay attention to the quality and number of wheels. The best is to buy baby walker with 6-8 wheels. Some models have a lock stop, just in case the baby wants just to play with toys. Buy baby walkers on silicone wheels - they will go quietly. Look the wheels rotate easily. The wheel size matters as well. The larger the wheel, the more stable is the baby walker. Pay attention to the seat material. Choose a baby walker with a wide and deep seat made of waterproof fabric. The seat must be deep enough and have an internal bumper to cushion blows. There are several types of construction of this device: classic baby walkers, which have a very simple design, without unnecessary details; walkers-transformers, which have a multi functional design with a comfortable seat, rocking chair and height controls and game pad; walker-wheelchair - one of the most popular options for children and can be called a toy on wheels. 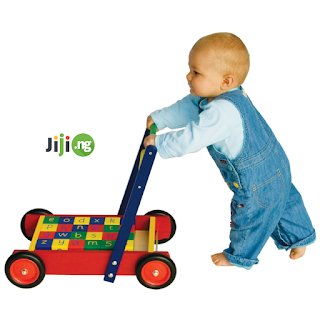 A child pushes ahead this toy and uses it as a support, but it does not suit everyone, only those children that can already stand up and walk. ● Seat. By the standards, seat must be wider than the top of the structure to firmly hold the weight of the child and its manipulations. ● Wheels. 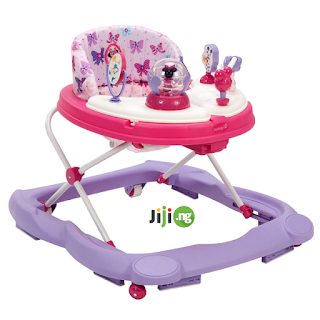 The best is a baby walker with the maximum possible number of wheels, because the more of them there are, the more maneuverable is the device itself. Moreover, wheels must be floating and have a lock. Good models of walkers have other useful options. The presence of a removable seat cover facilitates the care of the purity of a walker because at any moment it can be removed and washed. For small apartments it is advisable to buy a folding walker, but choose the ones that come with locking latches. 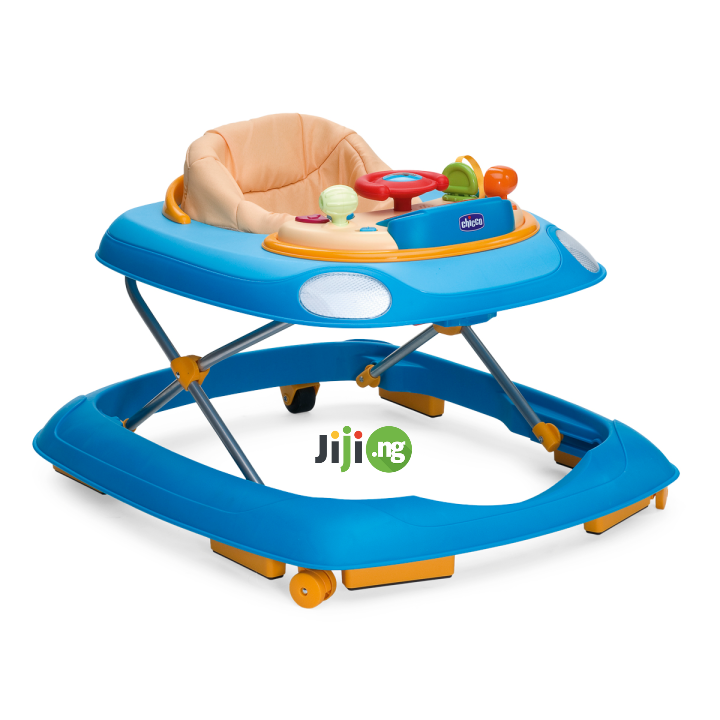 Want to be sure of the quality and safety of baby walkers? 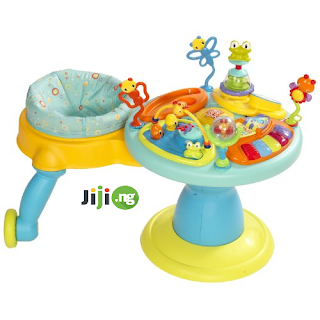 Chose baby walkers for sale on Jiji! The previous owner can tell you about all features, pros of the model and warn you about drawbacks! Also, the price for used baby walkers is much lower than for the new ones, and as children grow so fast, you can sell them to the next happy parents!